Technically this underlay is allowed underneath ceramic and porcelain tile – with the CORRECT installation. This form of install is SO DIFFICULT that 99.999% of N. America tile setters have never HEARD of it before…let alone installed it that way. Most haven’t a clue as to how to go about installing this. And I am not a tile setter which means I cannot help with the specifics. All I can say it is “possible”. I can’t offer technical support for a tile setter. 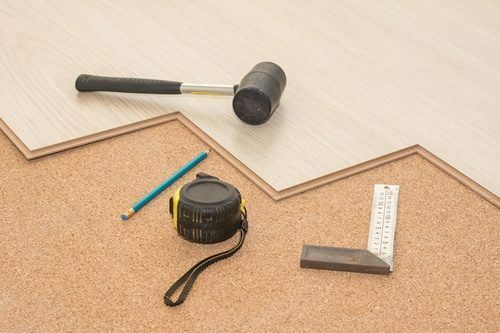 The European tile setters (trained in Germany, Switzerland or Austria) have all experienced laying cork underneath porcelain, ceramic and even stone (marble, travertine, etc). Be prepared to discover that NO ONE will know how to do it. If someone thinks they will “try”, then be prepared for big problems. This is not an install where you want to be someone’s “first attempt”. It gets ugly quickly. Unless you find a tile setter fresh off the boat from Germany, Switzerland, Austria, Sweden, Finland, etc, I wouldn’t try it. The horror stories are heart breaking. The subfloor is the least of your worries. The install itself is the biggest issue. 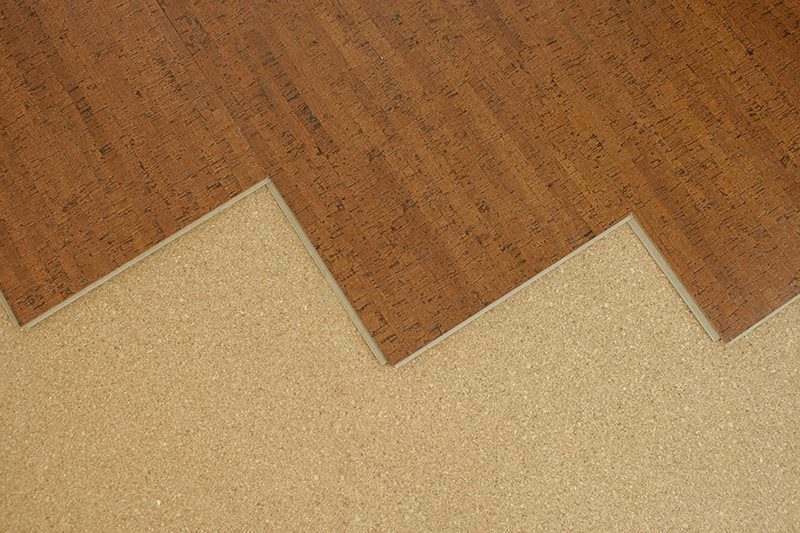 It can raise the floor height by more than 1” when cork is put under ceramic tile. That can mean all the doors have to be rehung to accommodate the floor height. The subfloor you have has to be assessed for a deflection rating for ceramic/porcelain – never mind the cork underlay. Your well paid, well versed General Contractor can look into this for you. The tile setters are not responsible for assessing the deflection rating. Some know how to do it…but most do not. Floor deflection is not something cork worries about…it is what ceramic and porcelain worry about. The deflection rating is for the tiles not for the cork. In cold areas, most of our clients like to work with the 6mm cork underlayment. This, plus Forna floating cork flooring, can raise the temperature in the basement by as much as 7 Celsius (13 fahrenheit) without turning up the heat. In fact, many people find they turn down the heat once cork floating flooring with 6mm cork underlayment has been installed. All of our clients who have worked with the Forna 6mm underlayment have been EXTREMELY pleased with the cushion, the thermal insulation and the acoustic insulation (the basement gets VERY quiet once cork is installed). Cork flooring naturally insulates keeping your home warmer in winter and cooler in summer.